Originally, this was just going to be a topic header, but I felt like you should become familiar with the term hubs and authorities first. This terms is also defined as the HITS algorithm. 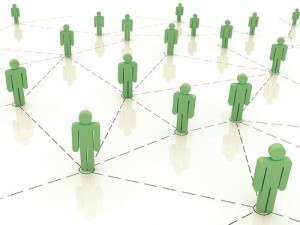 It is generally thought of as a precursor to Google’s PageRank and operates in a similar fashion. By ranking websites based on the amount of links it has throughout the Internet, you generally get a few that float to the top. These sites become authoritative in their subject matter and are considered higher ranking sites because of this. When making your own website, becoming an authoritative site is not that easy and should not be one of your starting goals. In time, you may get there, but for now, your focus should be on utilizing existing authority websites. The ones I break down on my site are just two of the more popular “hub” sites that specialize in exactly this purpose. However, any website with a high authority score can add huge benefits to your site. An example would be WikiPedia. Wikipedia is considered a HIGHLY authoritative site given the vast amount of information it contains. If you were to provide a website or blog that contributes important information, you might be able to score a link from a Wiki article. Even though WikiPedia uses the rel-nofollow tag, it would still provide a substantial increase in traffic for a trending topic. I wrote a detailed article about the various types of links and how to get them for your site, so I won’t go into it here, but I did want to to mention a couple of things. Getting backlinks to your site is very important. Hub authorities are great for this because they allow you to interact with users that share common interests while also providing them with information that they can subscribe to. Generally speaking, you want to maximize your coverage for your website. There are tons of services out there that allow you to share all sorts of information. Obviously, not everybody uses the same services, so you want to spread your site across as many as you can handle to ensure that everyone can search for and find your information. More traffic=more income. Authority hubs are similar to social bookmarking sites, but since I have a separate section planned for that, I don’t want to confuse the two. Take a look at the next two pages to see the two service sites I use for my site.